Collingwoodfc.com.au's Player Review continues as we look at Jordan Russell's 12 months in Black and White. Collingwood has made six changes to its senior and rookie lists as it prepares for the upcoming trading period and drafts. Reigning Copeland Trophy winner Dayne Beams is one of four additions to Collingwood's 25-man squad for Sunday's clash with North Melbourne. After being Carlton's most consistent defender in the previous two seasons, he had a disappointing 2012, losing form and finishing the year in the VFL. At his best, is capable of shutting down an opponent and creating scoring opportunities with his run and carry. Selected in the top 10 of the 2004 National Draft, Russell still has much to offer at the highest level. 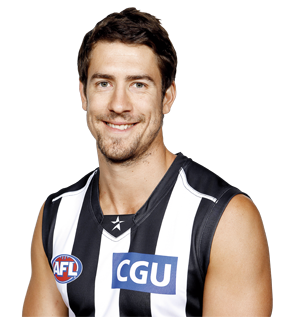 2012 traded by Carlton to Collingwood for pick No. 71 overall.